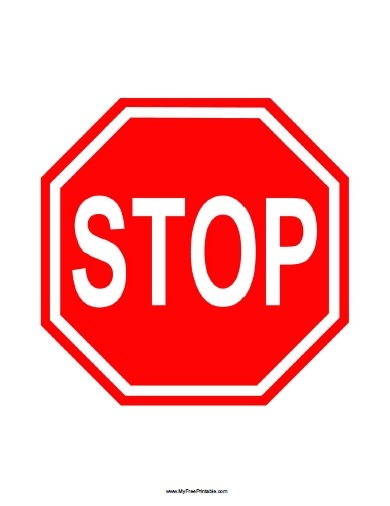 Free Printable Stop Sign. Free Printable Stop Sign for teaching kids about road safety or other purposes. This is a great resource if you are teaching about road signs to students or just need it for a specific place. Print this Stop Sign free using your laser or inkjet printer, and use at the classroom or share with kids. You can use your printable Stop sign as a temporary or permanent educational resource at classroom. If you want your Stop Sign to last more is recommended to protect or laminate it before using with some contact paper or frame. Click the link to download or print the Stop Sign free in PDF format.